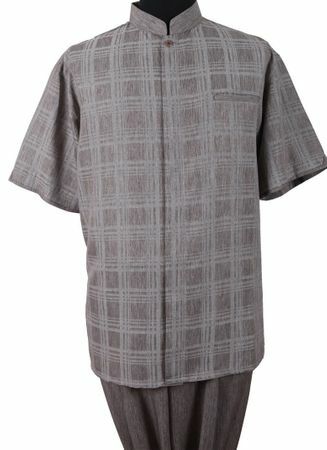 The light heather brown color of this Chinese style walking suit has that style for the well dressed man who takes his appearance seriously with it's mandarin collar that has a clean look. It features pleated style pants. Made of soft poly.